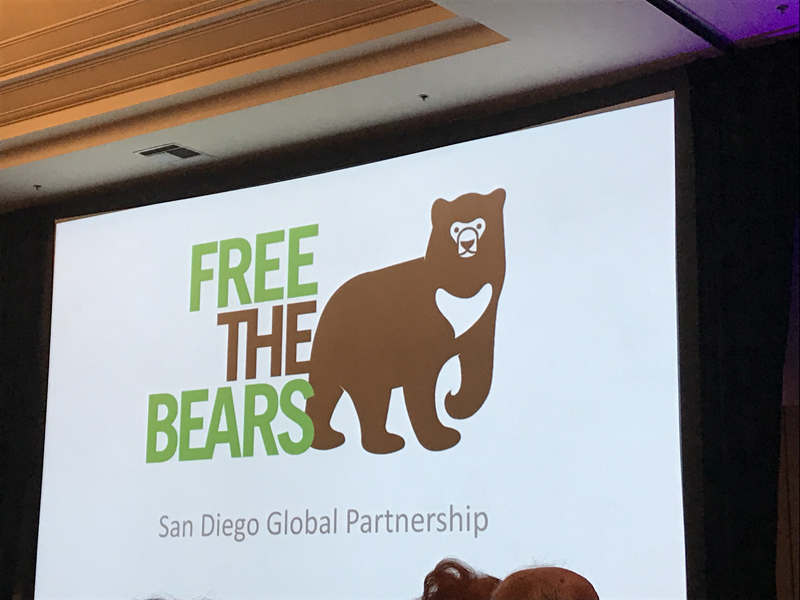 The San Diego Zoo Global annual Friends of Animals luncheon was held on August 16, 2018 at the Sheraton San Diego Hotel and Marina. 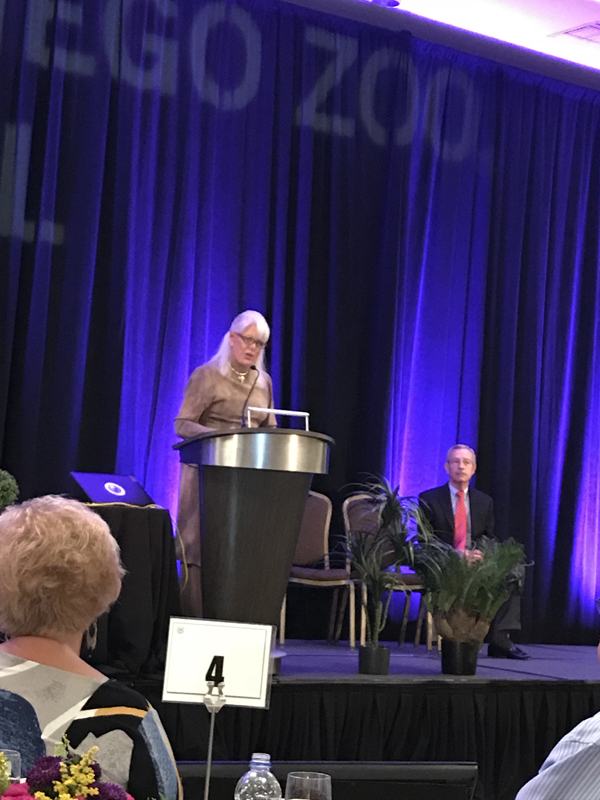 Barbara Menard represented the Menard Family Foundation where Circle members and Heritage Guild members gathered for a delicious luncheon and program. 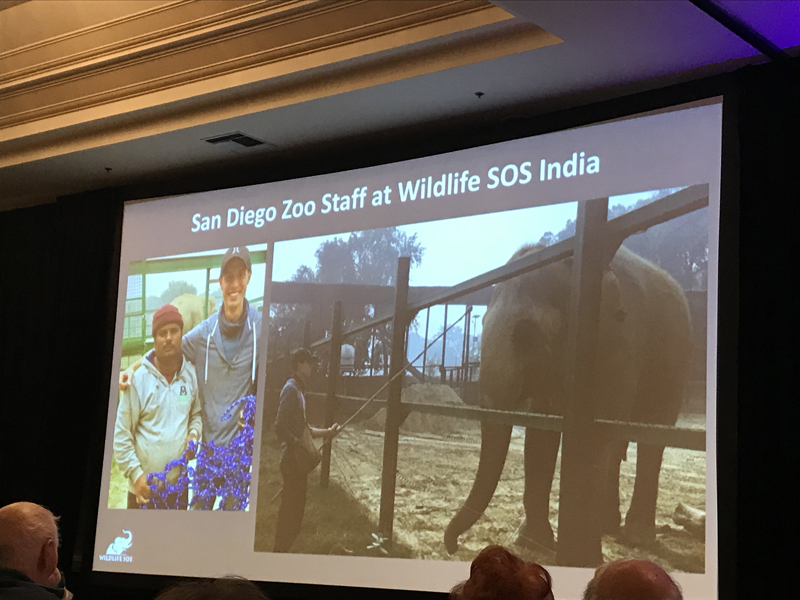 Joan Embery, Zoo Conservation Ambassador began the program and introduced the 2018 Conservation-In-Action Award Recipients Kartick Satyanarayan, Geeta Seshamani and Matt Hunt. Quoting the event program: “When wildlife needs a champion in India, Vietnam, Cambodia, and Laos, three names stand out. 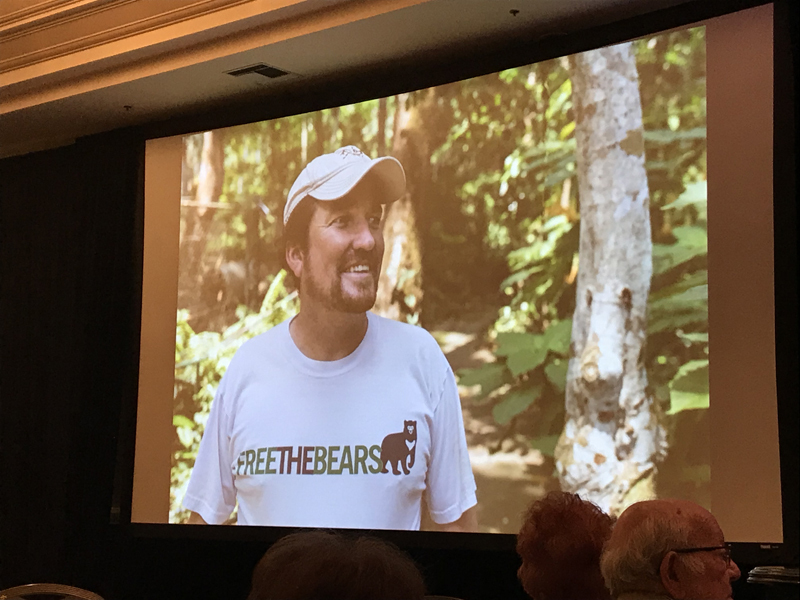 Since 1995, when both Wildlife SOS and Free the Bears were founded, Kartick Satyanarayan, Geeta Seshamani, and Matt Hunt have devoted their careers and lives to protecting vulnerable species.” Matt Hunt began his career as a zookeeper in England until 2001 when he move to Southeast Asia. He Joined Free the Bears (FTB) in 2006 where he now serves as CEO. Their goal is “to protect and enrich bear’ lives throughout the world. This includes rescue, care and rehabilitation of hundreds of bears from the wildlife trade and bear bile farms. 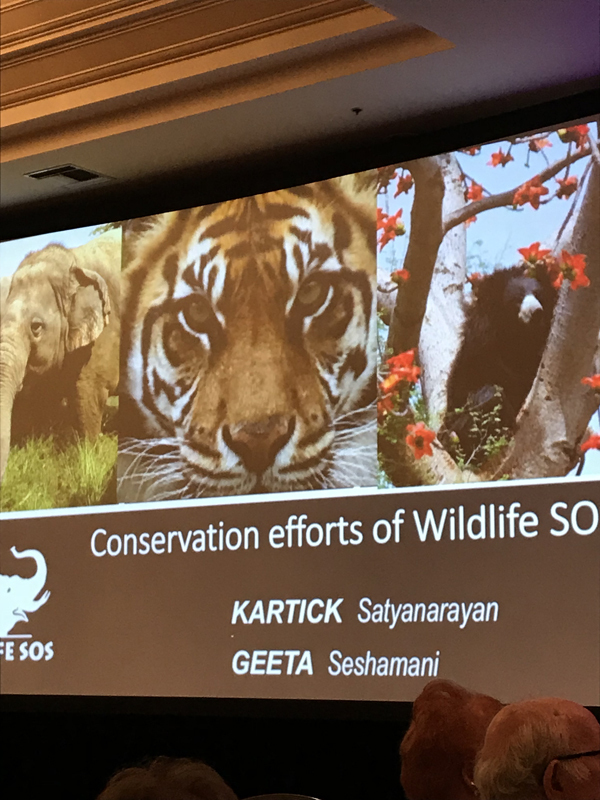 Katick Satyanarayan and Geeta Seshamani are Co-Founders of Wildlife SOS. They began a movement to protect India’s natural heritage, its foresta and wildlife, which has brought profound changes in the ways people relate to and with animals. Wildlife SOS acts against animal cruelty and curbs the illegal trade in wildlife and wildlife products. 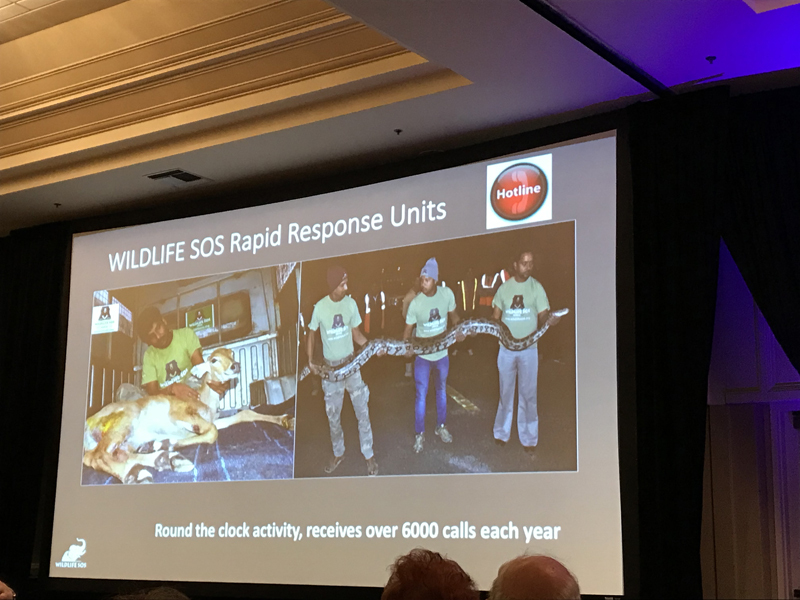 “Educating the public about protecting both wildlife and habitats—and creating alternative livelihoods for former poachers—helps tremendously to solve human-animal conflicts. 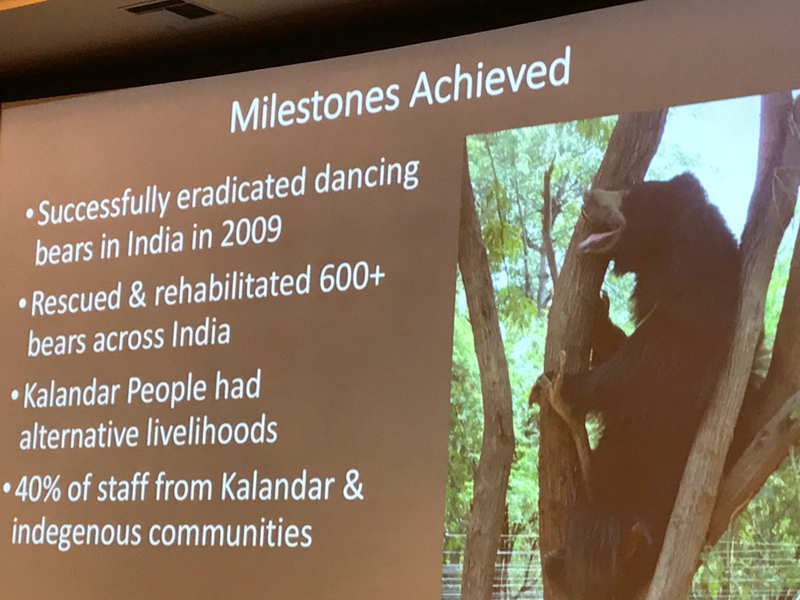 Together, they dedicated their mission to end the abusive practice of ‘dancing bears’ in India.” They have also worked to protect elephants, leopards and reptiles and have established eight rescue and rehabilitation facilities throughout India.